Trading card games like Magic the Gathering can be incredibly fun as games, but the other part of the equation is card collection and trading. Cards are given rarity grades, with the most powerful cards only printed in small quantities. Just as with any other commodity, the more rare a card is the more cards it’s worth trading for. Yet when it comes to elite collectors, they are willing to simply cut out the middleman and pay to own those cards. While it’s not strange for fairly rare modern cards to be worth more than the booster pack they came in, some cards are SO rare that they literally cost a fortune. How much money are we talking about here? Well, let’s just say we’re talking car and house money in some instances. 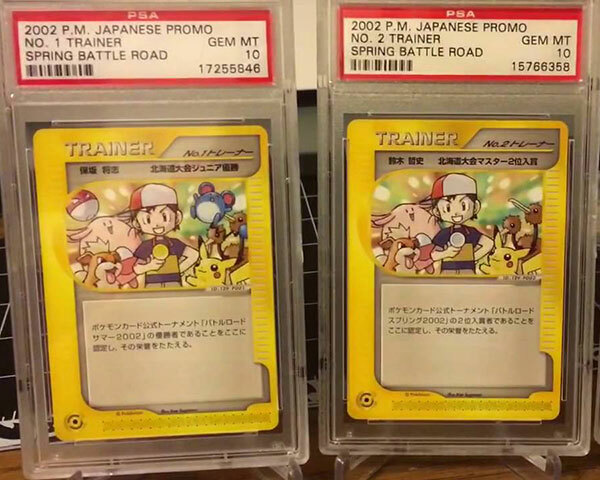 These are some of the most rare and expensive trading card games. 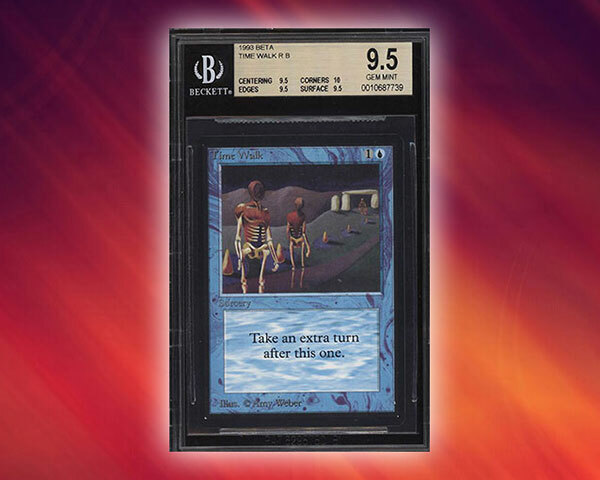 Magic the Gathering is the oldest trading card game and, as such, some cards that were only printed in the early days are incredibly rare. No one knew back then that these cards would go for so much money, which means plenty of them were lost or damaged to the point of being worthless. Heck, no one was thinking about card sleeves at that point either, I think. 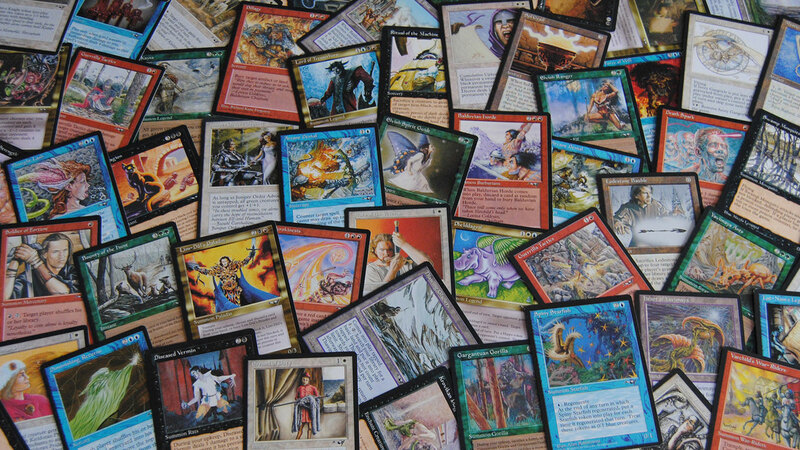 “Alpha” and “Beta” were the first two print runs of Magic the Gathering. Where two cards exist in both the Alpha and Beta sets, the Alpha version will be worth more. Time Walk is a card that costs one blue mana to play and has the devastating effect of giving you a second turn after the current one. It was banned from competitive play which, ironically, makes it more sought after. 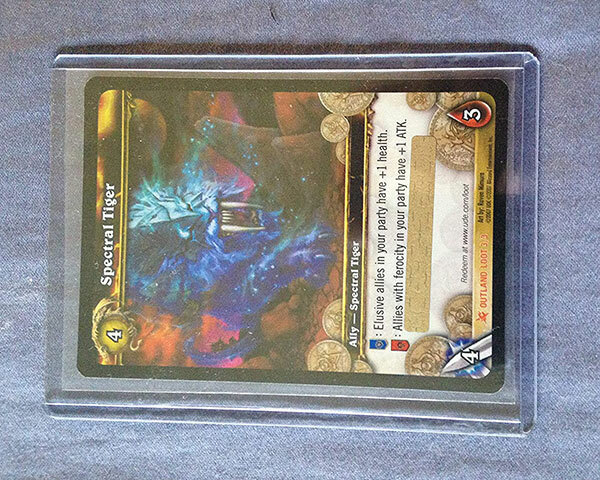 The card isn’t much to look at and the artwork is weird, to say the least, but an Alpha edition will set you back a massive $5500, with a card from the third print run (named “Unlimited”) going for about $2000. Yeesh, you must really want that extra turn! While the World of Warcraft TCG was pretty cool, it never reached the level of popularity the MTG had. Today the game has been discontinued. 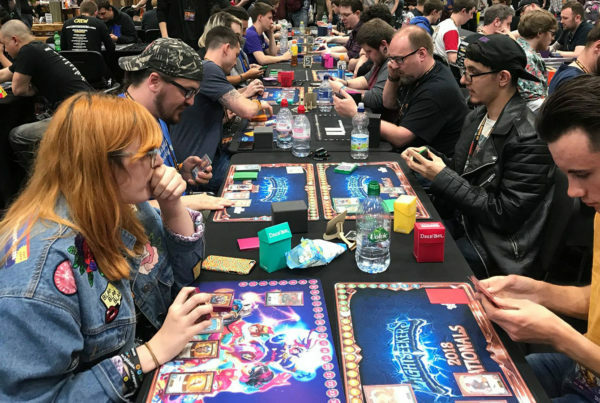 But, ironically, Hearthstone rules the online TCG landscape, while Wizards of the Coast still struggles to make a dent in the digital TCG world. 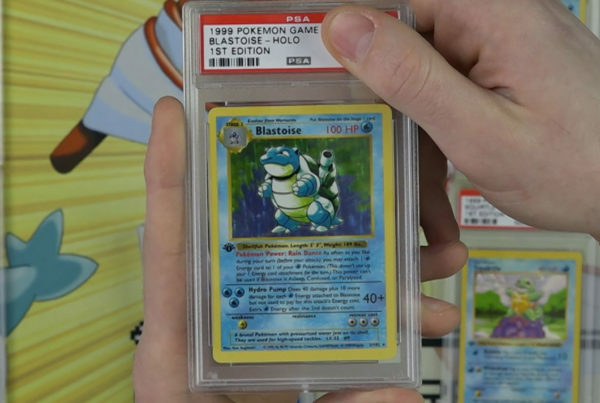 Despite the game no longer being in print, rare cards can still fetch a hefty price. Of these, it’s Spectral Tiger that commands the highest price. 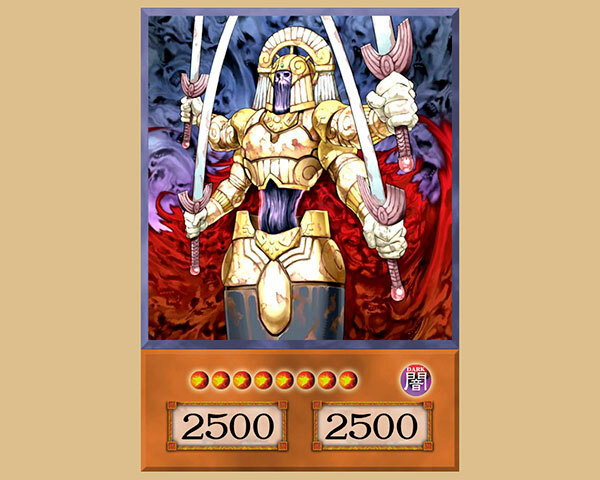 Apart from the card being very rare, it’s also desirable because it adds either one health or attack point to all other allies. The price varies with condition, but $2000 isn’t an uncommon tag. Such is the price of victory. As a bonus, you can redeem the code on the card in the WoW MMORPG to get a Swift Spectral Tiger mount, although I have no idea if any cards would still have unused codes. To this day the Yu-Gi-Oh! TCG is alive, kicking, and very popular. This card has a pretty interesting story behind it. It was actually a tournament prize for the winner of the 2006 World Champion Series. Apparently he tried to sell it for $1.7M, but there were no takers. However, the card is worth at least $9000 if you look at how much other Championship prize cards have gone for. Unfortunately, is it banned from competitive play, which is probably why the owner would rather cash in. The Pokemon TCG has certain official cards that can’t be played in the game itself, but confer a special status on the holder. One of these is the No. 1 Trainer card. If you are the winner of the Japanese World Challenge Tournament this was one of the goodies you got. With it you get automatic entry into the following year’s competition without having to bother with all the regional qualifiers. How much is this card worth? Well, no one really knows. Since there are so few in the world they are rarely sold, but rumor has it that as much as six-figures has changed hand in private trade. Ah, the Black Lotus. Any list that deals with these treasures must mention it because it’s probably the most famous example and still worth a lot. As I explained above, the Alpha print run was the first ever MTG printing, dating back to 1993. Rare cards from this run are the most valuable, but both the Alpha and Beta version of Black Lotus are really only affordable to geeks in the millionaire range. Black Lotus costs nothing to play and allows the player to add three mana of any single color to your pool. An incredibly powerful card to be sure. Predictably, it’s banned in official play. So how much will it cost to own one of these cards? There are only three print runs that contain it: Alpha, Beta, and Unlimited. There were only 1100 Alpha Black Lotus cards printed, so it was rare from the start. No one knows how many survive today, but even ones in poor condition will go for several thousand dollars. 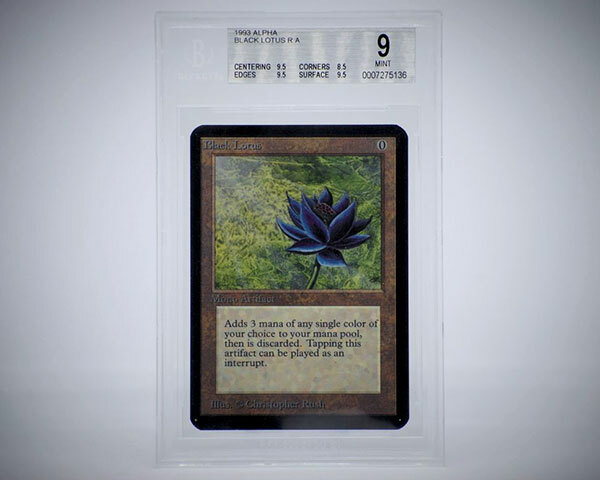 An Alpha Black Lotus has been sold for $27,000 but the sky’s the limit here, to be honest. Even Beta cards can go for that sort of money and one ambitious owner has asked as much as a 100K for one. If you have one from the less valuable third print run known as “Unlimited” you’re still looking at almost $10,000. Not too shabby at all! 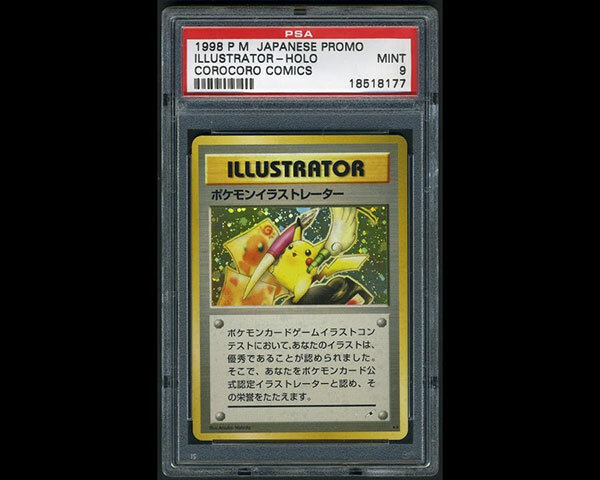 There’s rare and then there’s this ultra-rare Pokemon card known as the “Illustrator” card. There are only six of these in existence and the reason why is similar to the No 1. Trainer card. The card was a prize handed out to the winners of a competition which involved submitting artwork. The card informs the winner that they are now an official Pokemon illustrator. 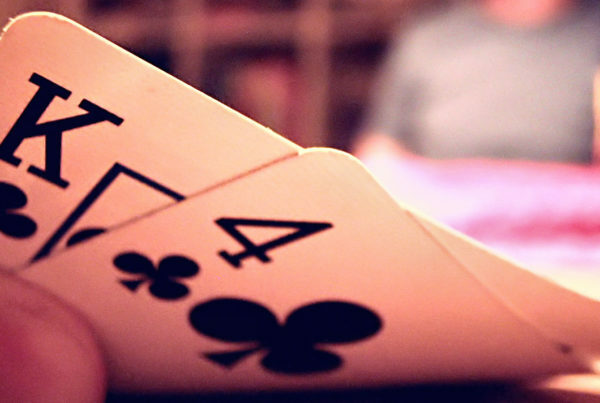 One card is being held, but the other five change hands from time to time. The highest asking price so far has been $100,000! However, the most one has sold for as far as I can tell is $55,000. Still, that blows almost anything else out of the water. It’s very hard to tell which cards are going to become classics and which are just going to be trash or trading fodder. It’s not enough for a card to simply to be rare. It has to also be something special in the game or linked to a historical event of some kind. One thing we do know is that you should hold on to rare cards if you can, especially if they are first printings or part of the earliest days of a game that looks like it might be popular. Put your cards into good sleeves or a quality storage folder from the start. Maybe you’ll be the lucky owner of a super-valuable trading card one day!